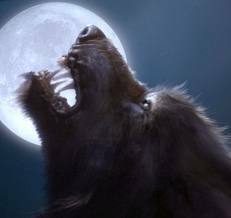 This entry was posted in Free Short |Fiction and tagged bayed, beast, blood, creature, fear, fiction, flash fiction, full moon, growling, howling, once bitten twice shy, proverb, snow, wolf, yellow eyes by Carlie M A Cullen. Bookmark the permalink. Thanks for your kind comments – I’m so glad you enjoyed it. It’s surprising how many people feel some sort of affinity with wolves and they are known to be ‘spirit guides’ for spiritual people. Yet there are others who fear them and, as you say, are a symbol of their nightmares. Curious isn’t it? This is something I could get into quite a deep discussion about, but now isn’t the time! Loved the vivid description and the choice words with the dialect. Reminds me to do so in my writing. Exceptional. Thanks for the great (and kind) comments – I’m so glad you like it. I really enjoyed this!! Great job!! Thank you for stopping by and leaving such a nice comment. I’m so glad you enjoyed Once Bitten, Twice Shy and hope you’ll come back again! Carlie – a very interesting twist on a werewolf tail. I’m kinda glad it didn’t veer into “Twilight” territory by having her seek to be with him and choose to be bitten. One question it raised for me though was what happens when the full moon is gone? Does she ever see Marc again? I don’t know if this will help you but there are some within writers circles who advise against starting a story with a lot of description – that no matter how good it might be, it won’t have enough of a “hook” for the reader. It’s better to add the descriptions in layers throughout the opening scene. Excellent exercise and a great draft. Keep up the good work! Thanks for your comments/critique – I’m glad you liked it. Whether she sees Marc again is very much left to the reader’s imagination and was quite deliberate on my part to keep people wondering. I take your point about starting with description and will give it some thought. Thanks for all your comments and for popping by! Hi Carlie, I love your writing and look forward to reading your book when it’s finished ♥ Jessica wants to know she once dreamed of a blue girl playing the piano. Based on what she thinks you may be able to shape-shift into a wolf. Jessica is fond of wolves and feels they are misunderstood. She believes you are a very interesting person and very talented indeed. She is excited to learn more about you. Thanks so much for your kind words. My first book is finished and under submission right now so I’m playing the waiting game. I’ll let you know what happens. Jessica is sort of close, but not quite right. The blue girl used to play the piano, but stopped rather abruptly and hasn’t touched it since. I can’t shape-shift into a wolf, but I do have a very strong connection with wolves and one in particular. I’m glad Jessica finds me interesting, but she’s going to have to try again to guess what my talent is! She’s so sweet for saying I’m talented, but then again so is she! If she looks around this blog, she’ll find my email address so she can email me anytime she wants to fire questions at me or make some more guesses (and so can you). I’m also looking forward to getting to know her, and you, alot better!! Thank you both for stopping by and leaving such lovely comments. You’re very welcome and I feel the same about you, and wishing someone discovers your brilliant talent. Yes, the waiting game can be frustrating. Just keep focusing on writing and something lovely will come your way. Jessica says, “DANG!” She wanted me to tell you she has to ponder more about your superpowers, and will get back to you. Grandmother Wyrd AKA: The Old Dragonbooger sends her regards as does Grandfather Wyrd AKA: Blubberbelly.